Q Does the finish appear black or bronze? 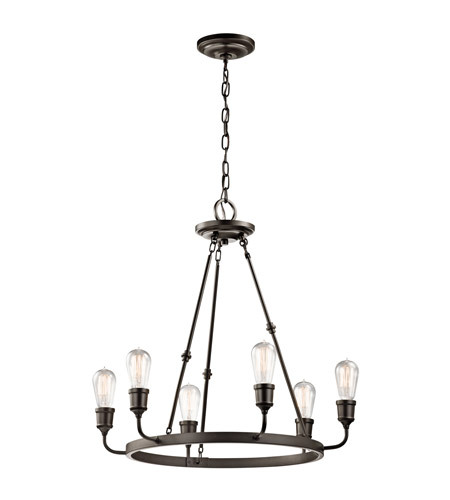 A The Kichler Lucien 6 Light Chandelier 1 Tier Medium 42708OZ Olde Bronze finish is dark brown in color. The finish will appear Bronze.